Mouse anti human P23 antibody recognizes prostaglandin E synthase 3, also known as PTGES3, Hsp90 co-chaperone, cPGES, cytosolic prostaglandin E2 synthase, or telomerase-binding protein p23. This antibody has been extensively validated for western blotting using whole cell lysates. Mouse anti Human P23 antibody recognizes the P23, also known as PTGES3, Hsp90 co-chaperone, cytosolic prostaglandin E synthase, progesterone receptor complex p23, telomerase-binding protein p23 and unactive progesterone receptor, 23 kD. 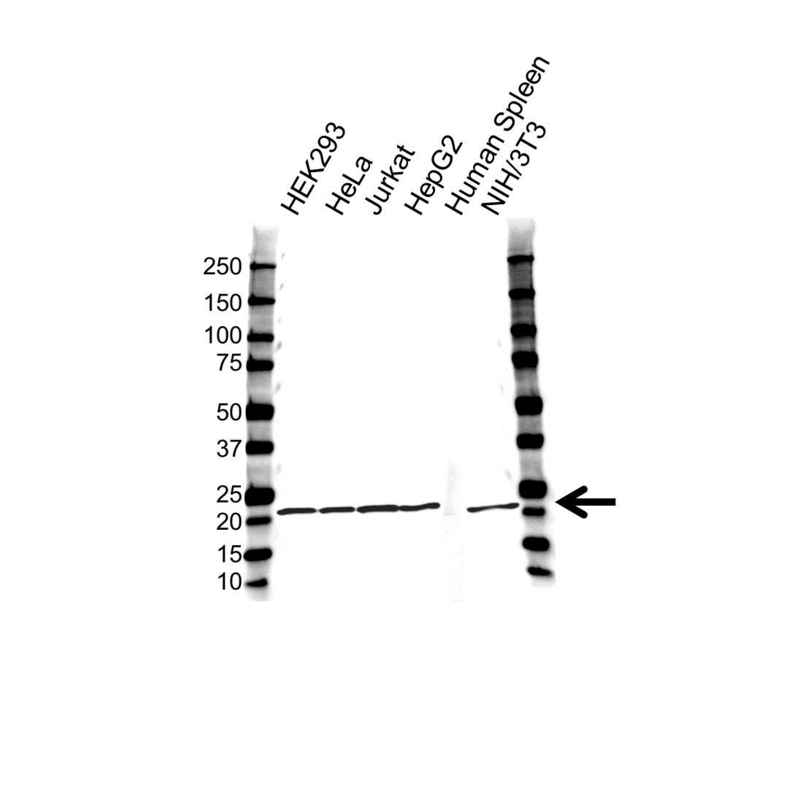 Mouse anti Human P23 antibody detects a band of 23 kDa. The antibody has been extensively validated for western blotting using whole cell lysates.